French writer Tim Ribeiro recently sat down to talk about his writing process and journey to becoming an author. I began to write in 2009. To be honest, I considered myself a writer when I wrote the second part of my trilogy Help-us, Save-us. In fact, I didn’t choose a particular field. It’s when I wrote my trilogy Help-us, Save-us! that I realized my genres were thriller, fiction, spying, adventure, mystery. All my novels are thrillers, and nobody can guess in advance the ending. That’s the most important for me when I write [that no one can guess the ending]. They never expect or guess the ending until they read the last page. They are very surprised. I know that it can be absurd or strange, but I remember having a blank page for two weeks almost. I wrote a big part of my first thriller novel but nothing [for a while after]. I was trying to find a good solution for the ending. But [I was finding] nothing. I was at my computer, but I was staring at a blank page, trying to find ideas. And after two weeks a great idea arose suddenly. No. The most important thing for me is not to write hundreds or thousands of words per day but to stay connected with my next story and to be a regular writer. What have you written so far ? I already wrote a trilogy. It takes place in Angola, Democratic Republic of the Congo, USA, and Russia. To be honest, when I wrote the first novel, I never expected to finish with an international trilogy. 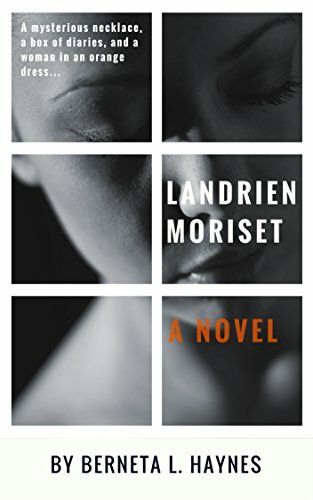 I also wrote a novel Daï, translated in English. I always have a rule to write free [free-write]. I note character details, chapter summaries and ideas, but I prefer to stay with a general idea even if I don’t know how it will come out. How can readers discover more about Timothee and his work?